Your college dorm desk is too small to have many desk dorm items that serve only one purpose. When you're moving into a small college dorm room and are dorm room shopping, it is best to remember that dorm essentials should be compact and multi-purpose. When you first move into your dorm room, your dorm desk may seem large. However, once you set up your college textbooks and dorm laptop or tablet, you will find that the amount of space your have on your college desk decreases rather quickly. You need a dorm lamp and dorm organizer for your writing utensils, but you also need space to study and do your college homework. What will help you have everything you need in one compact college supply? 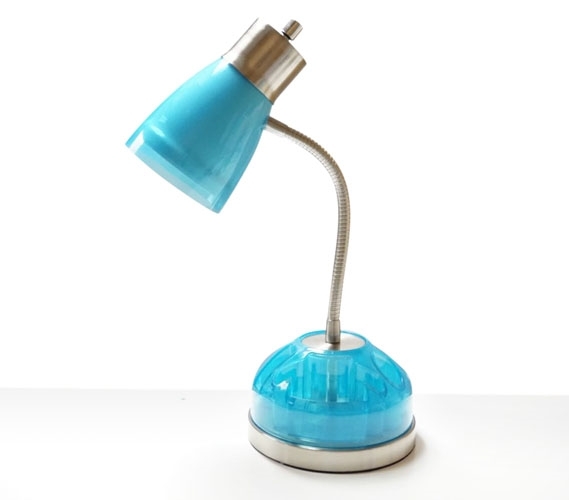 Our Organizer Light in Aqua! 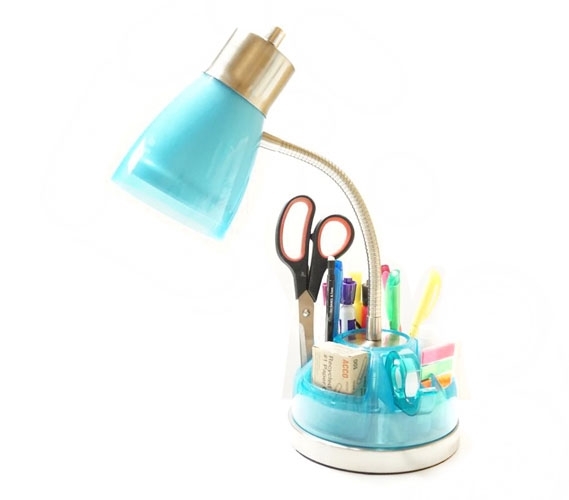 Our Organizer Light in Aqua takes up minimal space on your dorm room desk and comes in a bright aqua color to add style to your dorm room decor. 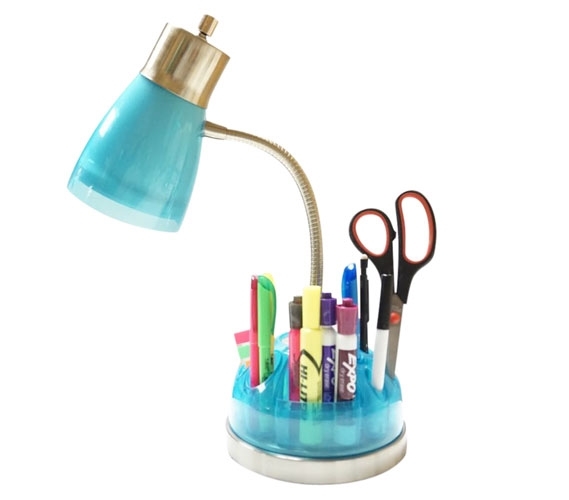 There isn't enough room for a writing utensil caddy on your dorm room desk, but you don't have to worry because there is a caddy on the base of this dorm lamp! Store your scissors, writing utensils and other college supplies within arm's reach when you are studying and you won't have to hunt for these dorm essentials when you need them! Plus with a compact dorm lamp on your desk, you won't have to worry about keeping your roommate awake with the overhead light while you are studying at night!